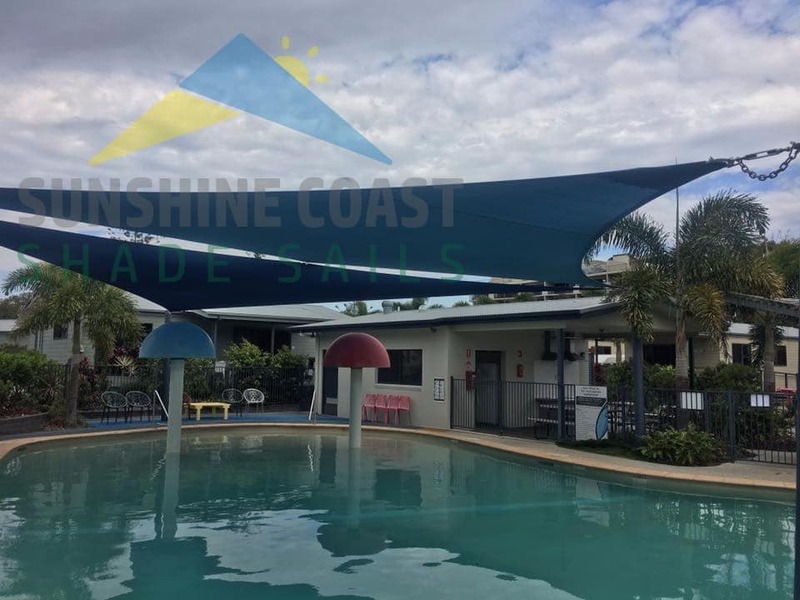 A well designed pool shade sail creates great aesthetics while providing protection from the harsh damaging UV rays of the sun. 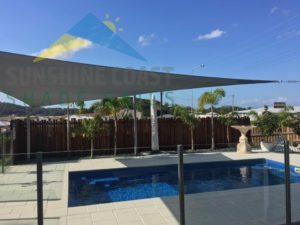 By installing one of our pool shade sails you can get greater use out of your pool on the hottest days and be confident in the fact that your family is protected. 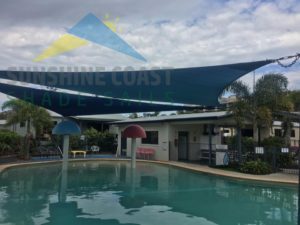 Our pool shade sails can also keep the pool area free from debris, preventing the need for excessive cleaning. 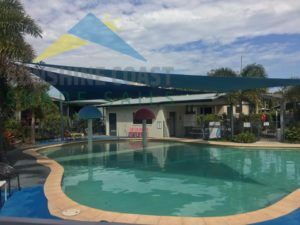 No matter the pool size, we can install a pool sail of high-quality to suit your needs. Our Triangular Marquee will add subtle beauty to your pool while shielding you and your family from the heat and harsh rays of the sun. It is durable and weather resistant and comes with a 5 year warranty. 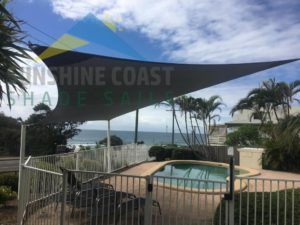 For a more stylish look, our Coolaroo Shade Sail offers the perfect architectural shade solution. 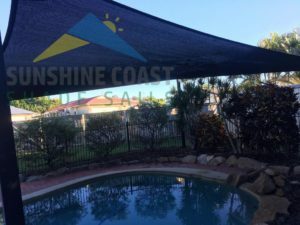 Made from strong material, it can withstand the harsh Australian elements, including rain and wind and can be easily cleaned with a garden hose. 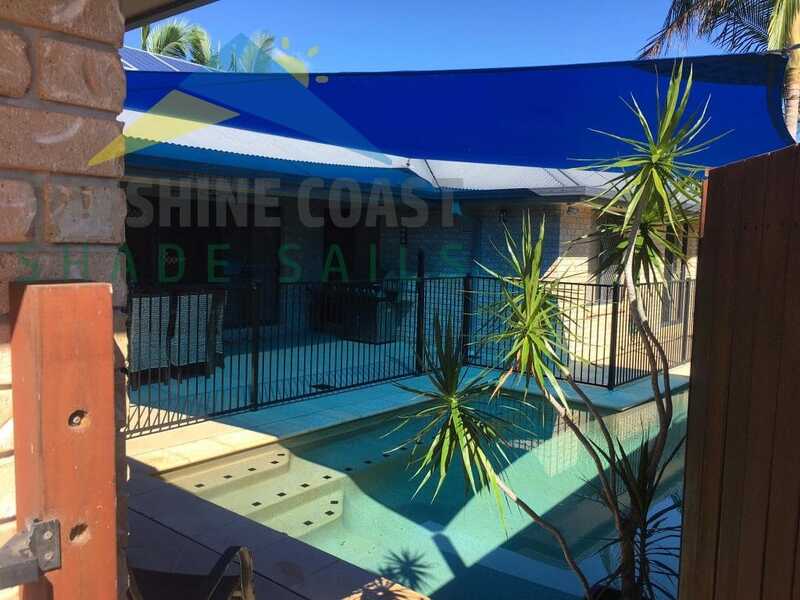 Offering a 90% UV block, the Coolaroo is highly recommended for the Sunshine Coast weather. 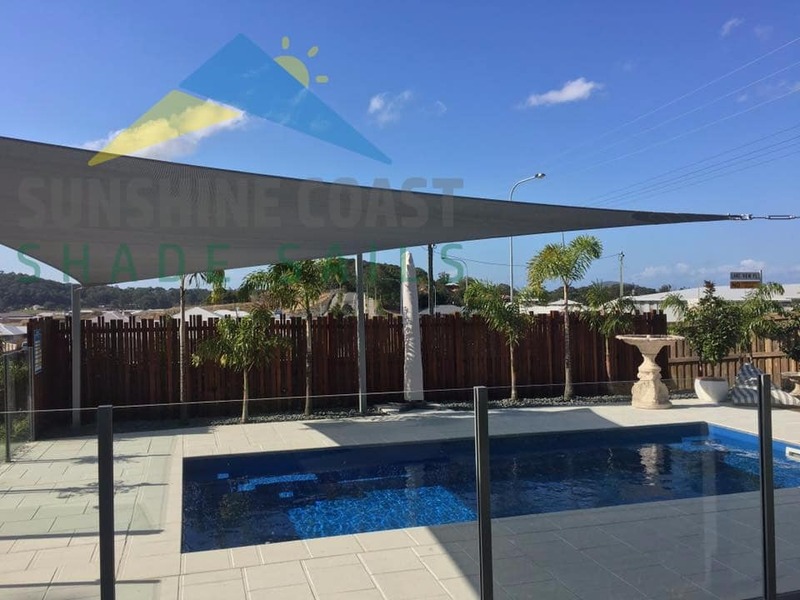 Our Triangle Beige Shade Sails are visually interesting and can provide added privacy to your pool area. 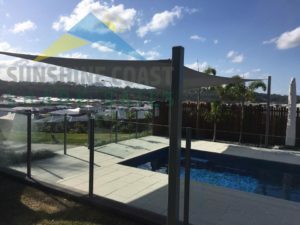 They are designed with quality grade fabric and quality grade components to sand the test of time. Customised sizes are available to meet your needs. 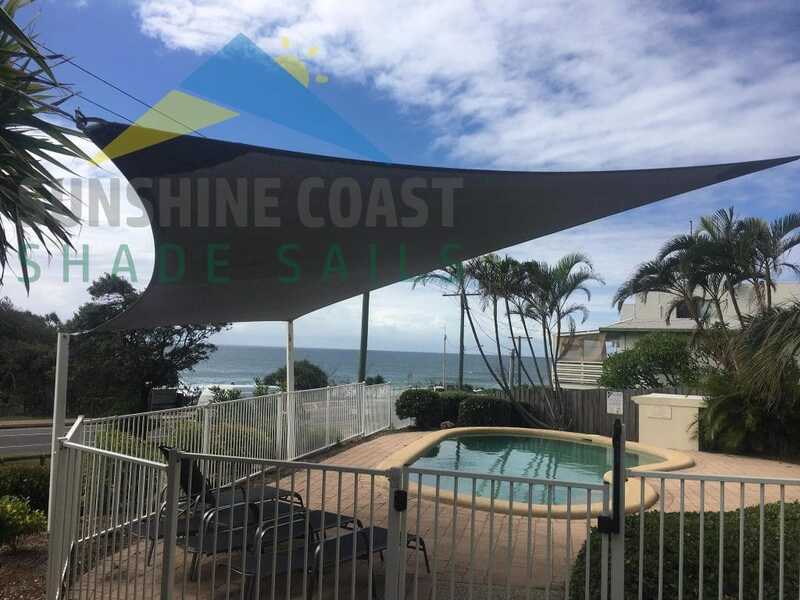 Finally, our Triangular Shade Sail can provide an unusual and beautifully dynamic shape. 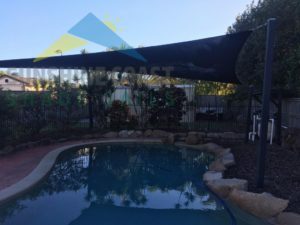 Different dimensions of triangles can produce different looks and with the choice of many colours, you can choose the perfect look to match your pool setting. Our Triangular Shade Sail is weather resistant, blocks 93% of UV rays and comes with a 12 month warranty.